Injuries at work can be physically debilitating and emotionally stressful. Fearing the loss of a job in today’s economy is common; it has a profound effect on your well-being. It is common to fear losing your job even if you were injured while performing your duties at work and physically cannot perform afterwards. Don’t be taken advantage of. You have rights under California state and federal workers’ compensation laws. Workers’ compensation was designed to protect you from financial losses after an injury. In most cases it avoids lawsuits that would damage both the employee and the employer. Unfortunately, filing a claim can be a complex process. As a worker, you have rights that we are committed to protect. If you believe that your rights will be violated, or already have been violated, it is extremely important that you speak with a workers’ compensation attorney. 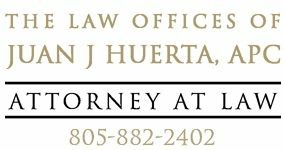 Juan Huerta Law will gain the best possible settlement to cover the costs of your injury. Do not suffer emotional or financial loss from an injury that took place at work, whether or not the injury was your fault.